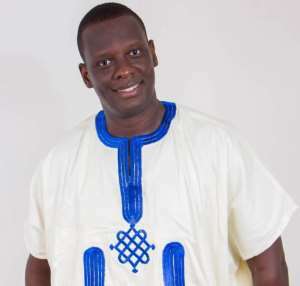 Abraham Philip Akpor Kojo 'Kainya, popularly known as Lord Kenya, has revealed that an unknown person is selling his old albums worldwide without his consent. The rapper-turned Evangelist noted that he has washed his hands off all his old albums. He has also officially recused his right to his seven albums and not expecting to be paid royalties. “I have seven albums and they are still selling them; I don’t know who is in charge of that… I am not interested in it anymore. It was divine. I was told not to. God said to me I was the one who called you and I will take care of you,” Kenya said on 3 FM. The former award-winning hip life heavyweight has been born again for about a decade now. He won Artiste of the Year, Hiplife Artiste of the Year, and Hiplife Album of the Year at the Ghana Music Awards 2001, and Best Ghanaian Rap Music Award at the Anansekrom Festival in Canada 2000 among others. He joined Slip Music in 1998 and released his debut album Sika Card which instantly became one of the nation’s hits.